Bay View Resort right off the famous Myrtle Beach Boardwalk offers so much to do either at the resort or within walking distance. Start your day with a cup of coffee on the balcony as you watch the sun rise over the Atlantic Ocean. Read your favorite book on the oceanfront lawn, or float along the lazy river as you relax and unwind. When you are ready to get out and explore we have several options for you depending on the vacation type you are, check them out and start planning today. Explorers: Got the urge to get out and about? Take a day trip to Myrtle Beach State Park, where educational opportunities, surf fishing and quiet stretches of oceanfront maritime forest await for adventure-seekers. A little farther south at Brookgreen Gardens, 9,000-plus acres of sculpture gardens, nature preserves, a zoo, a butterfly house and more are waiting to be explored. And for those ready to hit the waters, several area vendors offer boat rides and fishing expeditions along the Intracoastal Waterway or out into the Atlantic Ocean. Adrenaline Junkie: If you are looking to get your blood pumping and wanting to capture that perfect selfie, start with a day full of exciting fun as you head to the Myrtle Beach Speedway and become a Nascar Driver. Experience what it is like to go full throttle and race around the track either as the driver or with an experienced driver, the results are the same, adrenaline rush! After you check off becoming a Nascar driver, it is time to experience new heights. Head to Helicopter Adventures, where you can choose several different flights to take as you see Myrtle Beach from an aerial view. 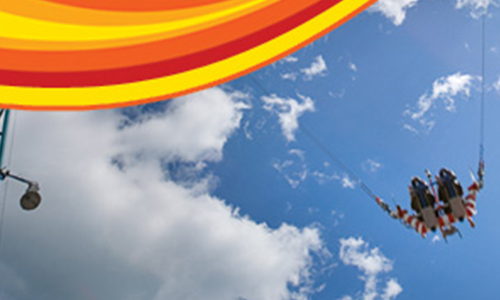 Finally, head back down to the Myrtle Beach Boardwalk where you can experience the thrill of being propelled over 300 feet high at speeds of up to 100 miles an hour at the exciting Sling Shot. Now that you have some great options to choose from, which vacation type are you? Book today at Bay View Resort and start planning your next adventure to Myrtle Beach.